Richard Hutchinson and Jock won both days at last weekend’s East Anglian open trials at Castle Rising, Norfolk, held by the kind permission of Lord Howard of Rising. Richard Hutchinson and Jock won both days at last weekend’s East Anglian open trials at Castle Rising, Norfolk, held by the kind permission of Lord Howard of Rising. Set over a flat eight-hectare (20-acre) pasture which was contained by Sandringham wrought iron railed fencing, the course had a fetch of 320 yards. As sheep were released from a holding pen on the right, most dogs gathered to that side. On the first day the drive was right-handed, changing to the left on the second. On completion of outfield work, two of the five sheep had to be shed in a marked ring before the trial concluded at the pen. All competitors had a fresh packet of North Country Mule hoggs, the same sheep which will be used for the English National. Although the sheep ran consistently well they were testing and quick to take advantage of dogs which showed any signs of weakness. Fred Chapman judged, seeing 49 dogs go to the post on Saturday and 42 on Sunday. On the first day with run eight, Claire Neal and Blake set the standard with a good run which scored 85 points and stood top for much of the day. Although John Atkinson and Wisk matched this score at 30, Blake held the lead with better outbye work. However, close to the end at 45, Richard and Jock (I. Brownlie’s Mo, R. Hutchinson’s Sweep) went ahead. After a clean left-hand outrun and lift, Jock lost four points for line deviations down the fetch. In full control of his sheep, his driving was good, with just five points deducted for minor wavers. Finishing with a clean shed and pen, Jock’s score of 91 gave him a clear lead. Running at 21, Wendy Cole and Mheg had the winning novice run scoring 80 points. Ed Hawkins and Jess were runners-up and went on to win the novice class the following day, scoring 72 points before being beaten by the clock. The wind was stronger on Sunday, so hearing was not perfect for the dogs and the sheep were livelier, proving more difficult to lift. Second to the post, Richard set the standard with Moya gaining 80 points. With run 11 he went ahead with Jock. This time Jock had a clean right-hand gather. One sheep tried to break back to the holding pen at the lift, but Jock stopped her, bossed her and put her back to the others. Two points were deducted from the lift before three went for line down the fetch. Jock then had a good drive, losing just four marks for minor flaws. Sheep were tricky in the shedding ring, costing two points before Jock finished with a clean pen to score 89. At 28, Richard had another good run with Sweep. His driving was just as polished but he had a better shed. However, a break at the pen put him on 88. At that stage of the trial, Richard was standing first, second and third. No other dogs scored more than 80, apart from Bob Powell’s Mirk. He scored 82 with a late run to take third place and Jock’s score of 89 gave him his second win of the weekend. On Saturday Cathy Cassie took her first open win with Lady (C. Cassie’s Gypsy and Deefer) at the Sussex trial, held at Goddards Green. Running was over a flat course on five Mule gimmer hoggs which were challenging at the lift, wary of the obstacles and not easy to pen. Jackie Marsh judged the entry of 32. Ray Edwards was standing top with Brad on 78 points until Cathy and Lady went to the post. Lady had a good left-hand gather and lift before slipping one sheep at the fetch gates. She kept good lines through her driving. Although she took her shed at the second attempt, her score of 82 gave her a clear fourpoint lead. With the following run, Jamie Robertson and Reef scored 78 which pushed Ray and Brad down into third on an outbye decision. Paul Griffiths and Micky won the novice class with 69 points. EAST ANGLIAN, Castle Rising, Norfolk, (Judge, F. Chapman, Docking) Saturday Open (49 ran) 1, R. Hutchinson (Littledale) Jock, 91 of 100; 2, C. Neal (Wormegay) Blake, 85 OLF; 3, J. Atkinson (Escrick) Wisk, 85; 4, J. Dumbleton (Bollington) Sid, 83 OLF; 5, R. Hutchinson, Sweep, 83; 6, J. Atkinson, Whiterose Queen, 80. Novice 1, W. Cole (Tillingham) Mheg, 80 of 100; 2, E. Hawkins (Ipswich) Jess, 77; 3, W. Cole, Abby, 72; 4, P. Johnson (Burton on Trent) Gail, 71. Sunday Open (42 ran) 1, R. Hutchinson, Jock, 89 of 100; 2, R. Hutchinson, Sweep, 88; 3, B. Powell (Cold Ashby) Mirk, 82; 4, R. Hutchinson, Moya, 80; 5, C. Neal, Dexter, 79; 6, G. Baldry (Tillington) Finn, 77. Novice, 1, E. Hawkins, Jess, 72 of 100; 2, G. Baldry, Sid, 53 OLF; 3, B. Wilden (Bramford) Sam, 53. Youngest Handler prize, C. Dumbleton (Bollington) Dot. SUSSEX, West End Farm, Goddards Green, (Jackie Marsh, Goddards Green) Open (32 ran) 1, C. Cassey (Lutterworth) Lady, 82 of 100; 2, J. Robertson (Brighton) Reef, 78 OLF; 3, R. Edwards (Chulmleigh) Brad, 78; 4, M. Banham (Chipstead) Molly, 77; 5, M. Banham, Belle, 76; 6, M. Fox (Dorchester) Alf, 70. Novice 1, P. Griffiths (Glynde) Micky, 69. SURREY, Shabden Park Farm, Chipstead, (J. Bastable, Tonbridge) Open (48 ran) 1, J. Watson (Postbridge) Gwydr Zac, 91 of 100; 2, J. Watson, Huthwaite Roy, 86; 3, R. Moore (Ditchling) Nidderdale Jill, 85 OLF; 4, A. Blackmore (Ledbury) Preselli Dell, 85; 5, J. Watson, Joe, 85; 6, M. Fox, Reg, 82. Novice 1, J. Watson, Huthwaite Roy, 86. The Llangadog and District trial was held in Carmarthenshire last Saturday, which saw Robert Ellis among the winners. A prodigious event in the South Wales trials calendar, it features a challenging uphill course over difficult terrain. The first half of the 380-yard outrun is fairly flat, after which dogs have to pass through a broken hedge line. The drives are then in excess of 380 yards, followed by a shed and pen to complete the course in a time of 10 minutes. There were two sessions of 46 runs each. The judges ruled any dogs crossing the course and failing to enter the second field would be disqualified. In both sessions, several dogs needed redirecting to bend out after entering the second field. Most handlers chose to send their dogs to the left where they could follow the field edge. post and numerous runs were timed out. Only two handlers were successful in penning sheep. Robert Ellis and four-year-old Spot had a good run on a difficult packet of sheep, with one ewe attempting to run back up the course on reaching the fetch gates. They were timed out at the pen but still won the first session having dropped only 22 points. Sheep were more cooperative in the afternoon session, judged by Ross Games. The winner was Sophie Holt and Roy, aged six-anda- half, who put in a quick, precise run, which lost them only 12 points. LLANGADOG, Session 1 (Judge, Kevin Evans) Open National, 1, R. Ellis (Nantymoel) Spot, 22; 2, N. Watkins (Llanddeusant) Tanhill Alex, 23; 3, A. Blackmore (Ledbury) Jill, 25; 4, D. Evans (Libanus) Bet, 28; 5, P. Tompkins (Llandrindod Wells) Foxridge Roy, 33; 6, Y. Abery (Brecon) Malta Jess, 37. Session 2 (Ross Games) 1; S. Holt (Libanus) Roy, 12; 2, I.B. Jones (Capel Bangor) Tim, 13; 3, R. Ellis, Sweep, 16; 4, Y. Abery, Glan y Gors Mona, 17; 5, D. Howells (Port Talbot) Nip, 22; 6, G. Howells (Abernant) Cap, 25. GARNDOLBENMAEN, Session 1 (Llyr Evans) Open National, 1, G. Owen (Llanerchymedd) Moss, 9; 2, A. Owen (Corwen) Preseli Roy, 14; 3, A. Owen, Glesni, 15; 4, A. Owen, Roy, 18; 5, G. Lightfoot (Llandegla) Omega Taff, 19; 6, J. R. Griffith (Talysarn) Sam, 22. Class Two, 1, A. Owen, Preseli Roy, 14; 2, G. Owen, Rocky, 15; 3, A. Owen, Roy, 18. Session 2 (Huw Francis) Open National, 1, G. Lightfoot, Omega Taff, 9; 2, A. Owen, Glesni, 11; 3, L. Evans (Bronant) Zac, 12 OLF; 4, G. Lightfoot, Omega Mari, 12; 5, P. Williams (Treuddyn) Tysswg Meg, 13; 6, G. Evans, Glen, 14. Class Two, A. Owen, Preseli Roy, 15; 2, A. Owen, Roy, 16 OLF; 3, H. Pugh (Barmouth) Jaff, 16. Class Three, 1, M. Evans (Llanfachreth) Trim; 2, A. Jones (Boduchain) Roxy; 3, M. Evans, Floss. CWMDU, Session 1 (Lee Bowden) Open National 1, K. Evans (Libanus) Preseli Ci, 15; 2, K. Broad (Llanllawddog) Kinloch Levi, 18; 3, N. Watkins (Llanddeusant) Jody, 19 OLF; 4, K. Evans, Kemi Ross, 19; 5, E.L. Morgan (Aberystwyth) Nel, 20; 6, B. Pugh (Nantmel) Glen, 23. Novice, E.L. Morgan, Nel. Session 2 (Will Jones) Open National 1, N. Watkins, Tanhill Alex, 5 OLF; 2, G. Lewis (Gwynfe) Gary, 5; 3, S. Holt (Libanus) Roy, 7 OLF; 4, P.Tompkins, Lynn, 7; 5, Y.Abery (Brecon) Glan y Gors Mona, 8 OLF; 6, J. Bowen (Tenby) Ned, 8. Novice, P. Tompkins, Lynn. May 6. TRAWDEN, Spring open, new venue, Norden, signed from Austwick village, Settle, North Yorkshire, LA2 8DJ, 8am start, enter on field by 2pm, contact C. Palmer, tel: 07932 318 145. May 7. 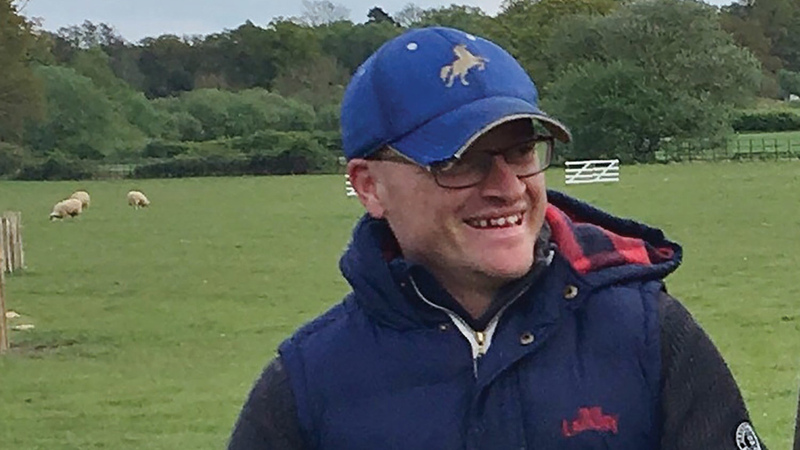 PARWICH, Tom Naden memorial charity open, Dove Top Farm, Alsop en le Dale, Ashbourne, Derbyshire, DE6 1QR, 9am start, enter on field by 12.30pm, catering, proceeds to Cancer Research, contact D. Wainwright, tel: 01335 310 472. CHESELBOURNE, Open and novice, Manor Farm, Dorset, DT2 7NR, 9am start, enter on field, tea and cakes available, contact T. Besent, tel: 07766 733 515. May 13. YORKSHIRE, Open with championship, Park House Farm, Elslack, Skipton, BD23 3AT, 8.30am start, enter on field by 1.30pm, maximum two dogs per handler. May 13 and 14. ESCRICK PARK, Open, Estate Office (on A19) Escrick Park Estate, York, YO19 6EA, 9am start, enter on field, catering and toilet facilities, no entry restrictions. CORNWALL, Open driving, Trethern, Delabole, PL33 9DA, off B3314 by the wind farm, two different fields, am and pm trials, eight trials in total, one dog per trial, 8am start, catering, pre-entry by May 7, contact J. Carter, tel: 01840 213 339. May 27. PENTON, Discussion group, open and local, Haithwaite Farm, Carlisle, CA6 5QT, 8.30am start, those with two dogs must run at least one before noon, pre-entry, maximum 60 dogs, contact P. McManus, tel: 01387 371 624. May 6. DYFFRYN NANTLLE VALE, Open national and young handler class, Talysarn, LL54 6AU, two sessions, pre-entry, catering, start 8am, contact B. Griffith, tel; 01286 880 088, eye testing at trial. May 6. ERWOOD, Open and novice national, LD2 3PX, two sessions, enter on field, catering, start 7:30am, contact A. Rees, tel: 01982 560 336/07817 707 621. May 7. ERWOOD, Local class, 14-mile radius, start 2pm. May 13. FELINDRE, Open and novice national, Pantycaragle Farm, LD7 1YE, two sessions, enter on field, catering, start 7am, contact K. Haker, tel: 01597 840 453. May 14. BALA, Open, novice national and young farmers’ class, Rhiwlas Estate, LL23 7NP, two sessions, enter on field, catering, start 8am, contact D. Williams, tel: 01678 520 853. May 16 TALYBONT ON USK, Open national, Llwynbedw Farm, Brecon, LD3 7YT, two sessions, catering, pre-entry, contact K. Evans, tel: 07814 139 347. May 20. SOUTH SHROPSHIRE, Open and novice national, Asterton, Shropshire, SY7 8BH, two sessions, catering, pre-entry, start 7.30am, contact A. Bennett, tel: 01588 650 679/ 07980 505 991. May 21. OBLEY, Novice, young handler and beginner classes, Higher Hagley Farm, Obley, Craven Arms, SY7 0BZ, novice dogs and handlers only, neither to have won an open, start 9.30am, catering, enter on field, contact L. Owen, tel: 01547 530 278. May 21 LLANARMON, Open national, Cwm y Geifr, Llanarmon DC, LL20 7LH, two sessions, pre-entry, contact L. Jones, tel: 01691 600 860.